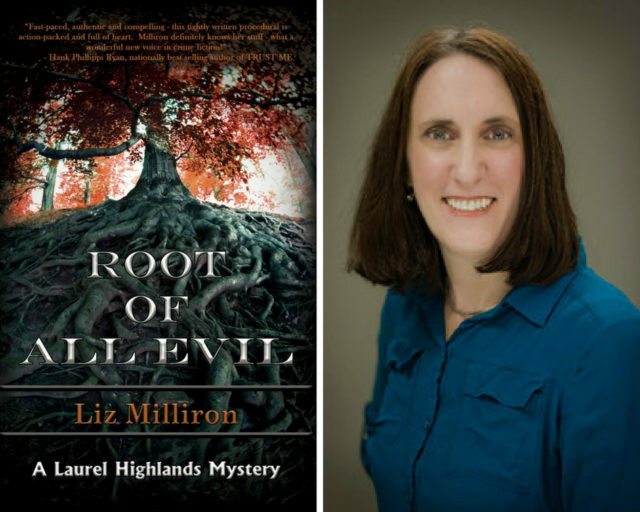 One week from today brings the release of Root of All Evil, the debut novel by Liz Milliron and the first book in the Laurel Highlands Mystery Series. While Root of All Evil, published by Level Best Books, is Liz’s first novel, she’s already had great success as a short story writer, with stories in the Bouchercon anthology Blood on the Bayou, the Malice Domestic anthology Mystery Most Historical, and Fish Out of Water, the fourth anthology from the Guppies Chapter of Sisters in Crime. Liz published a series of Laurel Highlands short stories too. You can find out more about all these on her website. In the meantime, enjoy this preview of her new book, and be sure to pick up Root of All Evil next week to find out what happens after these first two pages! Deadly Ink Begins Friday, August 10! Liz, what a great introduction to your debut novel. It really leaves me needing more. Looking forward to your release day. Grrrr, I ‘m glad I have this on pre-order. I need to know more. The first two pages read like a great debut. Congratulations, Liz. Bravo to Liz Milliron! Wishing her great success with her debut novel. Thanks for giving me the chance, Harriette!